Mayor Ed Murray announced that the city has an agreement to open the shelter on 12th Avenue South. The shelter will allow residents to come and go as they please without losing their beds. Seattle officials have settled on a site in which to open a San Francisco-style center for the homeless, Mayor Ed Murray announced Wednesday. But the property must be renovated before the unique 24-hour shelter can launch. The plan is behind schedule. Last June, Murray said his goal was to open a Navigation Center by the end of the year. Officials have struggled to find a site. They now have an agreement to open the center in the Pearl Warren Building, on 12th Avenue South in the Little Saigon area of the Chinatown International District, according to the mayor. The Seattle Indian Services Commission owns the property, and Compass Housing Alliance runs the Operation Nightwatch men’s shelter there. Murray, who declared a homelessness state of emergency in November, has repeatedly cited the Navigation Center as a key part of the city’s effort to address the crisis. Seattle’s facility will be modeled on the Navigation Center that San Francisco officials opened in 2015, with the goal of providing people with wraparound services and moving them quickly into permanent housing. Like a dormitory, the Mission District center has showers, restrooms, laundry machines, lockers and on-demand meals. Guests receive customized case-management, mental- and behavioral-health counseling and connections to benefits. They come and go as they please without losing their beds, unlike guests at traditional shelters, who must line up each night. The facility is designed to accommodate groups of people moving out of unauthorized homeless camps. It allows partners, pets and possessions, which are barred from most traditional shelters, and there aren’t many rules and admission restrictions. Last year, Murray said Seattle’s center would serve up to 75 people. He now expects it to open to a limited number of people in the spring. While the property is being renovated, the city intends to set up temporary sites with similar services. Officials have selected Downtown Emergency Service Center and Operation Sack Lunch to operate the center under contract. Quynh Pham, president of the Friends of Little Saigon community organization, said some small-business owners in the area are uneasy about the Navigation Center. 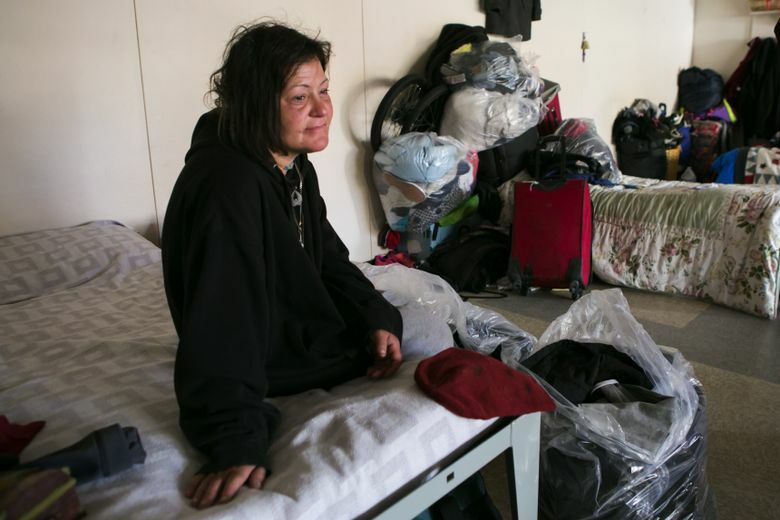 That’s because they’ve had trouble in the recent past getting the city to address safety and sanitation issues related to unauthorized homeless encampments, she said. Officials met with community members Tuesday night to discuss the plan, Pham said. Though she supports the Navigation Center concept, she wishes the city had reached out earlier and would like to know more about why they picked Little Saigon to host the center over other neighborhoods, she said. “It came as kind of a shock,” Pham said Wednesday. The city will host additional community meetings about the shelter before the facility opens, according to the mayor. To connect people with the center and with existing services, Seattle will begin sending police officers with outreach workers to unauthorized homeless camps, Murray also announced Wednesday. The officers on the new “navigation team” will be certified in intervention and de-escalation techniques, according to the mayor. City Councilmember Sally Bagshaw called the siting of the Navigation Center “a great first step” and praised the plan to get trained officers involved in outreach. “There are some folks who, because of untreated mental illness or addiction, are scary to deal with,” said Bagshaw, who visited San Francisco’s center last year. Since Murray decided to follow their lead, San Francisco officials have launched a second Navigation Center. They intend to open several more soon.